Dianne Solis, Dallas Morning News, Apr. 10, 2018 - "A case takes nearly 900 days to make its way through the backlogged immigration courts of Texas. The national average is about 700 days in a system sagging with nearly 700,000 cases. A new edict from President Donald Trump's administration orders judges of the immigration courts to speed it up. Now the pushback begins. Quotas planned for the nation’s 334 immigration judges will just make the backlog worse by increasing appeals and questions about due process, says Ashley Tabaddor, Los Angeles-based president of the National Association of Immigration Judges. Quotas of 700 cases a year, first reported by The Wall Street Journal, were laid out in a performance plan memo by U.S. Attorney General Jeff Sessions. They go into effect October 1. 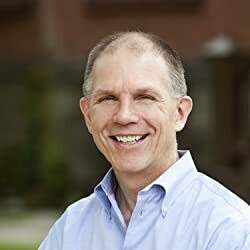 ... Cornell Law School professor Stephen Yale-Loehr called the move an attack on judicial independence that may violate due process rights of non-citizens, too. “You can imagine if we had a backlog in our criminal courts and the Texas Attorney General said every judge had to settle a certain number of cases per week. There would be a huge uproar,” Yale-Loehr said.